The Kazan Arena was the ﬁrst venue to be completed for the World Cup, opening in 2013 after just three years of construction. It became the premier arena in a city already well-stocked with sporting facilities. 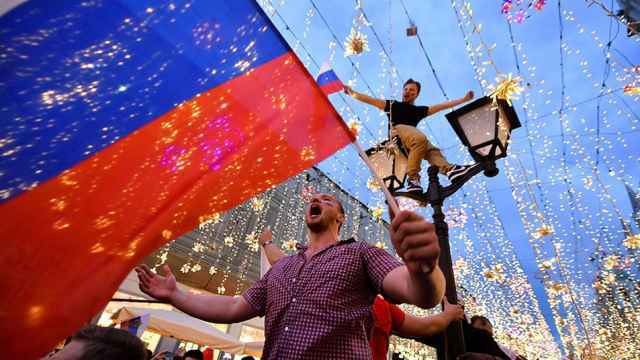 For a city that considers itself to be the sporting capital of Russia, the alacrity was unsurprising. Kazan boasts highly ranked teams in football, hockey, basketball and volleyball, and it was a no-brainer to include this city as a host for the 2018 World Cup. Among the ﬁrst events to be held here were the opening and closing ceremonies of the 2013 Summer Universiade. 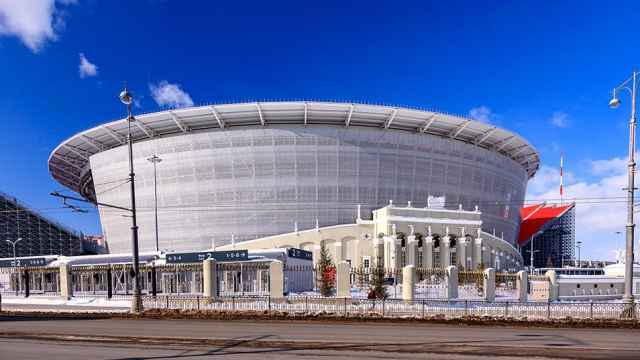 Since then it has housed Kazan’s top-tier football team, FC Rubin. It was also one of the venues for last year’s Confederation Cup. In 2015, FC Rubin was brieﬂy kicked out of its stadium to make room for the World Aquatics Championships, when two swimming pools took over the main pitch. 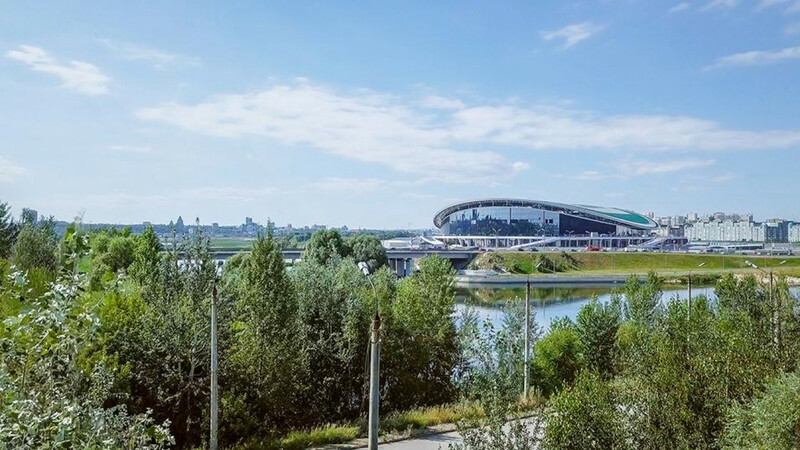 The 45,000-seat Kazan Arena might be most impressive when seen from above, where it has the shape and color of a water lily, ﬂoating right next to the Kazanka River. From the front, it boasts the largest TV screen installed on any stadium in Europe, at 3,700 square meters (roughly half the area of a football ﬁeld). The screen should be in tip-top shape when the crowds of sports fans descend upon the city in June; it is being serviced, and washed, at a price tag of $45,000. By public transport: On game days, trafﬁc around Kazan Arena will be restricted, so plan on taking the bus. The following buses and trams will be stopping at the intersection of Ulitsa Adoratskogo and Prospekt Yamasheva: buses 33, 46, 49, 60, 10А, 15, 18, 35, 35А, 36, 44, 45, 62, 76, and tram 5. Additional shuttle buses will also be running from the airport, Kazan-1 Station and Kazan-2 Station. From the bus stop it is a 12-15 minute walk to the stadium.